I could NOT pass up the chance to make some tide pool inspired earrings this month! When I saw the pictures they posted over at Earrings Everyday it just made my heart jump a little bit. and Last but not least, my favorites! 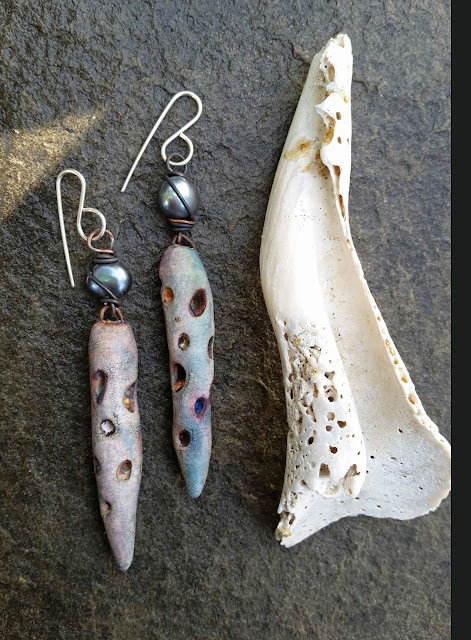 Pod earrings with pearls and polymer clay! That was fun! 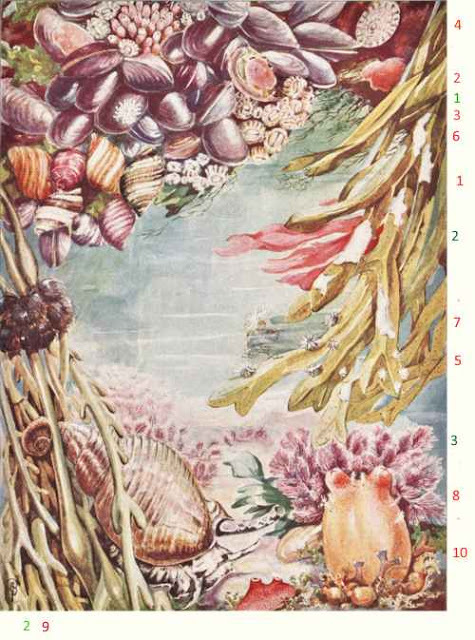 Now I am off to see what other creations folks made using the Tide Pool theme. If you want to hop along, just go here. If you like the new earring sets, check my shop next week. More will be added soon!!!! Wowza...Love them all!!! 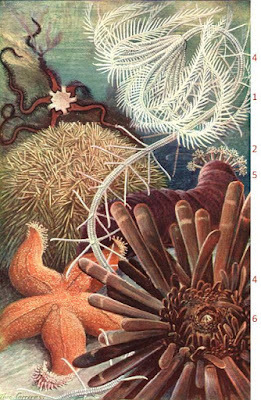 They totally capture tide pool. You rocked this months challenge! The earrings you created are magnificent! The inspiration you drew from the tide pools is spot on; color, texture, shape, all of them combined into beautiful works of wearable art. 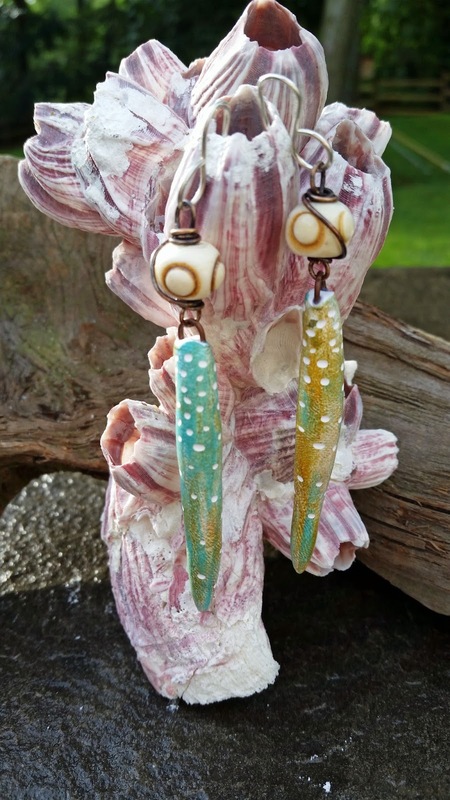 I especially love the watercolor hues of the spike earrings with the bone beads. 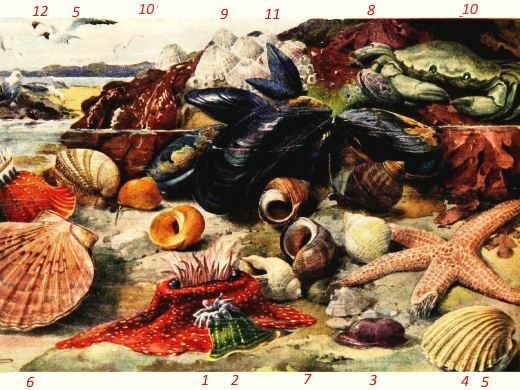 I too love collecting things from the ocean, I have several bags filled with sand and treasures from each place I have visited. Gorgeous! The colors and textures of your polymer clay components are a perfect match for this theme. The spikes sort of remind me of urchin spines. Love your little "still life with earrings" set up too. Love the new earring spikes... they are AMAZING!! I think that last pair is my favorite too... the colors, the texture, the yummy pearls. Wow! Love, love, love the texture play in these! 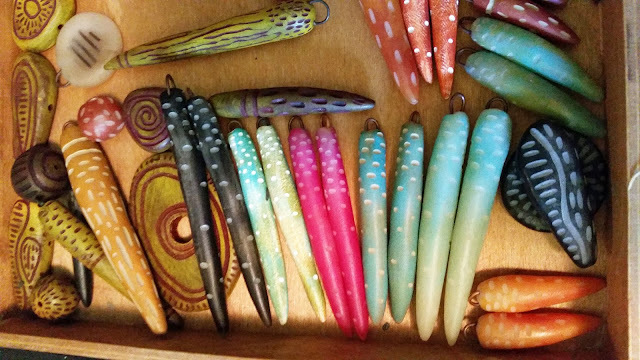 Wonderful designs - I love your polymer clay spikes. Great colors and such a wonderful shape for earrings! Wow those earrings are amazing.But I know you have been making wonderful beads and jewelry for a long time. I love these Staci! They are evocative of the sea. Wow, I've never seen such unique beads -- I thought they were real seashells. Wonderful designs! All of your earrings are gorgeous! I love your polymer clay components! Wow...you nailed it! Beautiful work! Wow...you were busy! I love the spikes! Great work! 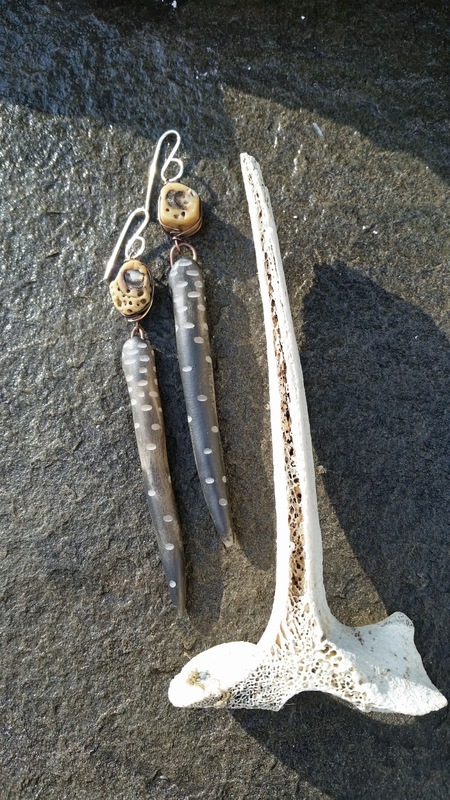 Native Americans used natural resource items to create jewelry. 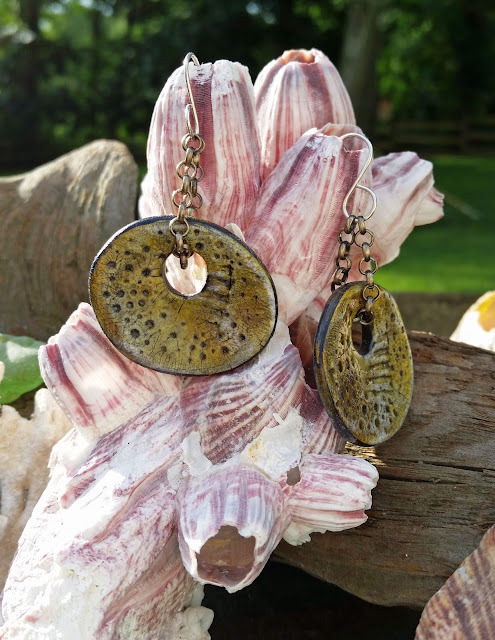 Seashells were abundant to tribes living on the coastlines, such as the Great Lakes Tribes and were a very popular item to use in earrings. 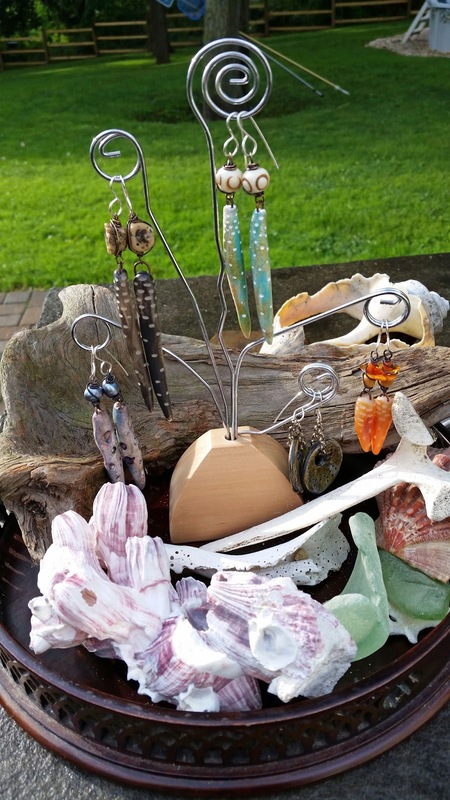 Many tribes traded items to get shells to make earrings. 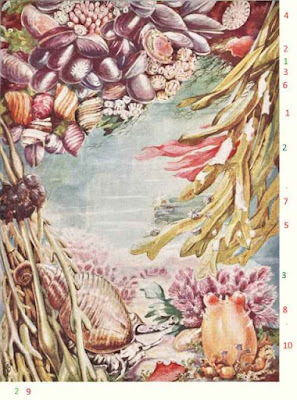 One of the most popular shells was the cylindrical white shells of the whelk.